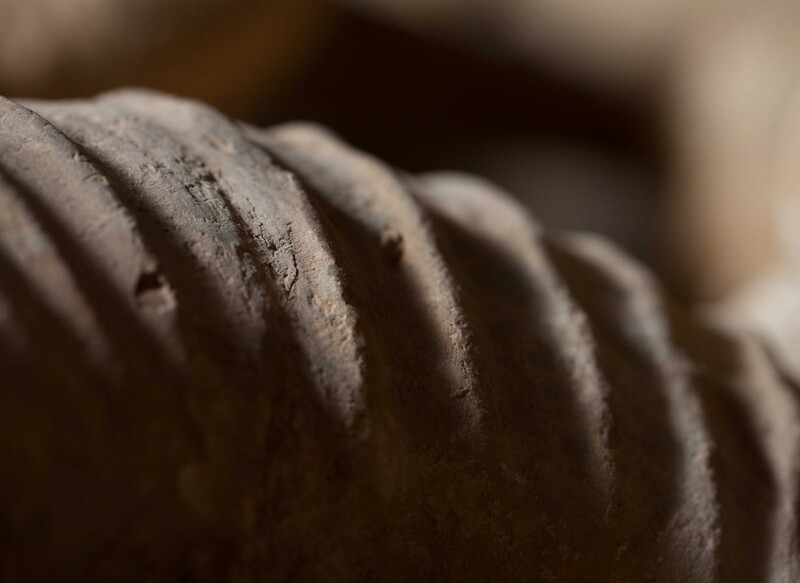 Originally discovered in the Atlas Mountains five years ago this miraculous find has undergone a three year excavation and preparation period. 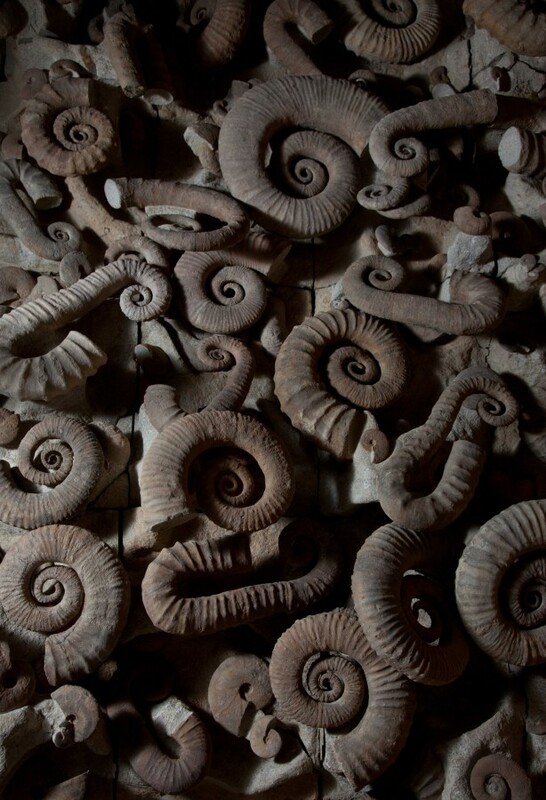 Discovered in the Moroccan Atlas Mountains, several dozen tons of rock were cleared to expose the original ammonite framework. Over eight tons of sheer rocks were transported from the mountaintop to the nearest dirt track – impassable by car – over 7km away. A feat achieved by meticulously fragmenting the rock, so as not to damage the ammonites, and all carefully carried downhill by camels. 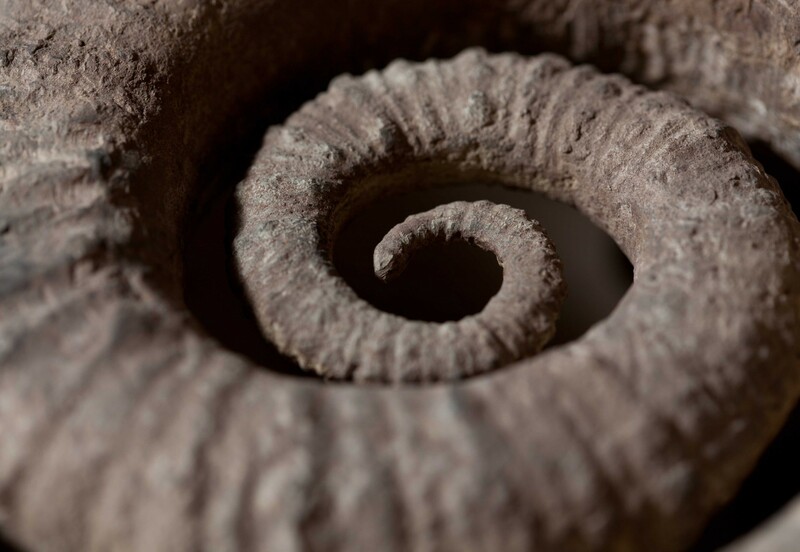 Over two years a team of highly skilled fossil preparation experts painstakingly marked the exact location of each rock within the block, before sand blasting and hand preparing every segment, to reveal the perfect ammonites within in the finest detail. 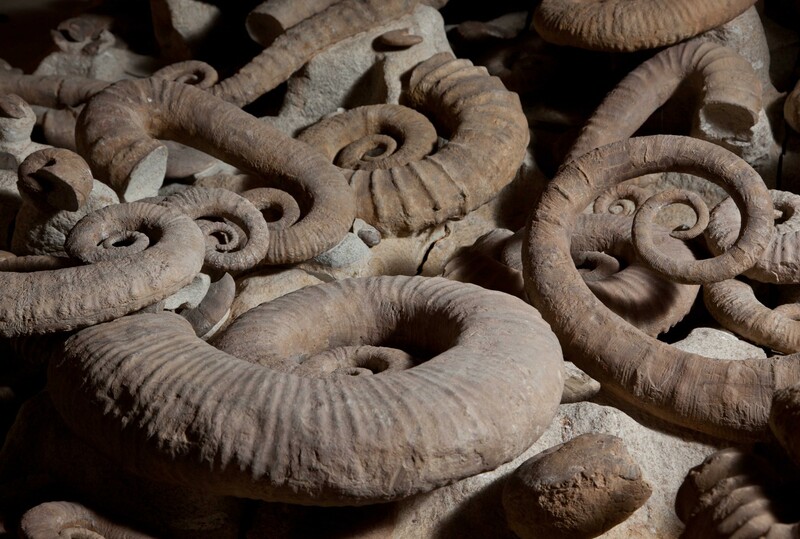 They were later repositioned in their exact original location and the entire piece now reveals exactly how the ammonites would have lain over 90 million years ago. 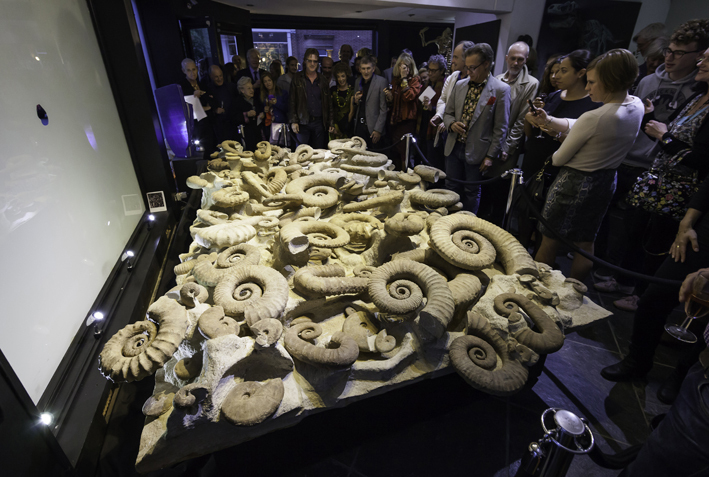 This astonishing piece of natural history contains over 200 individual ammonites, of 25 different species, as well as two nautilus species. The dense concentration of ammonites is due to currents on the bottom of the ocean clearing intervening sediments to leave the individual shells, which built up over time. 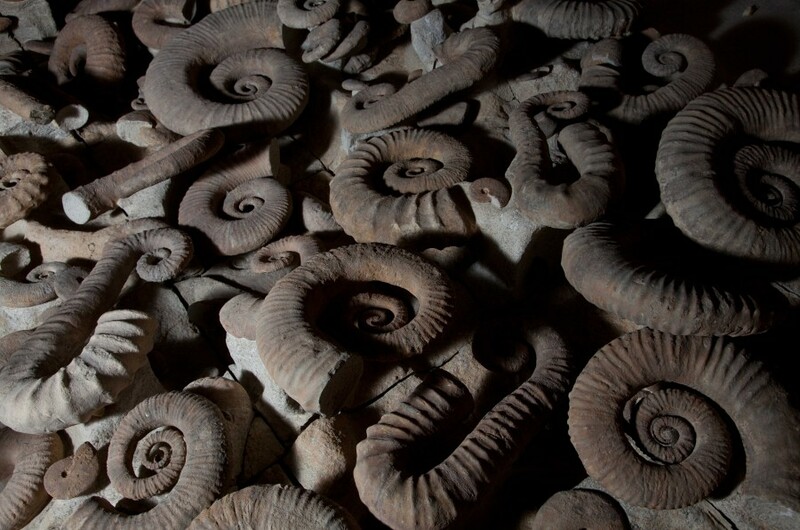 Most of the ammonites are rare heteromorphs – a group which appeared in the Cretaceous, towards the end of the existence of ammonites. 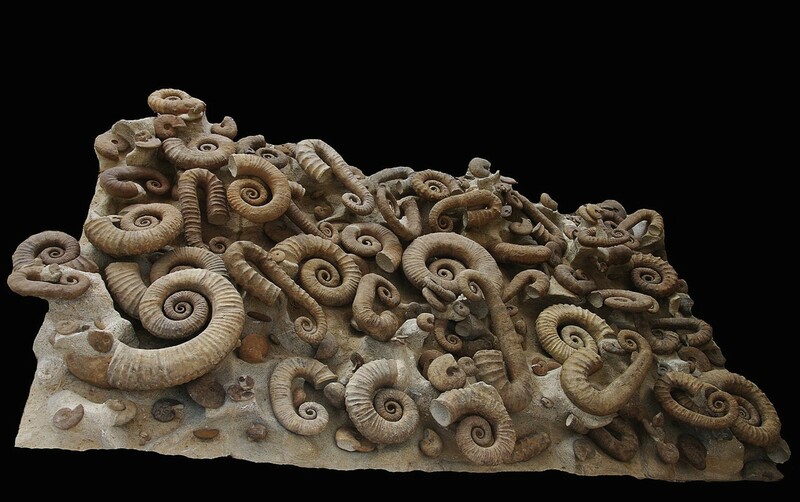 Heteromorphs had unusual openly-spiralled shells, the function of which is still a mystery. 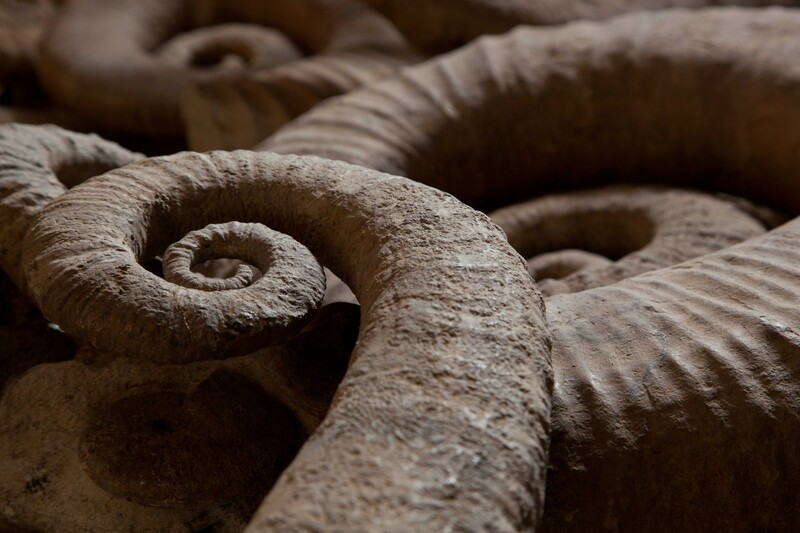 The Atlas Medusa is an extraordinary museum quality piece, and at almost half a metre deep this tactile, captivating and complex three-dimensional specimen is an astonishing example of natural history as well as painstaking excavation. You can see the fun and games we had when installing this 2 ton monster into our Pimlico Road gallery by clicking here, and you can also see the piece in its full glory at our launch event by clicking here.